This Nyala model sports a titanium body with a gray shine finish and a Super Dense Twist damascus insert. 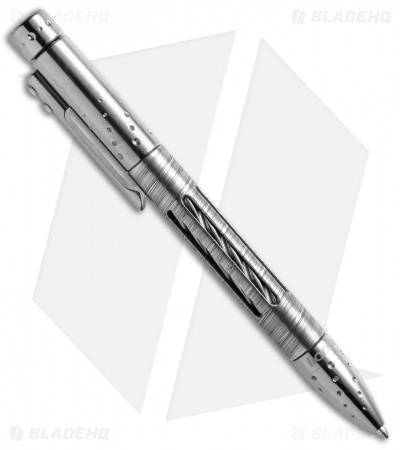 The Lionsteel Nyala pen offers a sophisticated design inspired by the spiral horns of the African Nyala antelope. 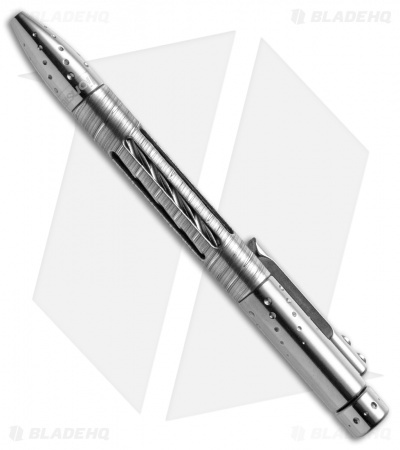 It's equipped with a twist mechanism for easy pen access and a titanium clip for comfortable carry. 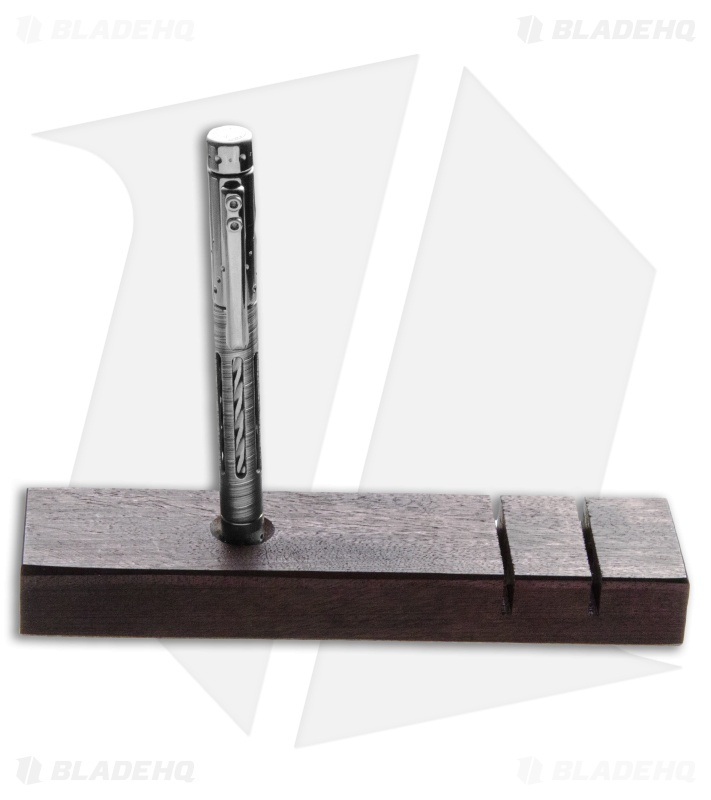 With simple yet elegant details the Nyala pen is destined to be the jewel of your EDC rotation. Uses a Fisher Space Pen refill for unprecedented writing performance. Wooden presentation box doubles as a pen stand with added slots for business cards or stationary. Titanium construction ensures a solid, durable build.